Home Health & Lifestyle Quit smoking How Can E-Cigs, E-juice and Herbal Vaporizers Help Me Quit Smoking? Vaping has now become a big trend and gaining momentum worldwide as a method to hopefully quit smoking. With that development, a lot of newbies are asking questions on the different types of materials people use in their vaping devices. So to help you guys out we laid it all out for you in this post. The key thing to know about vaping is that it is not limited to nicotine and tobacco only. A variety of materials are now available for vaping and in fact, many of these have some great benefits for you and your lifestyle. 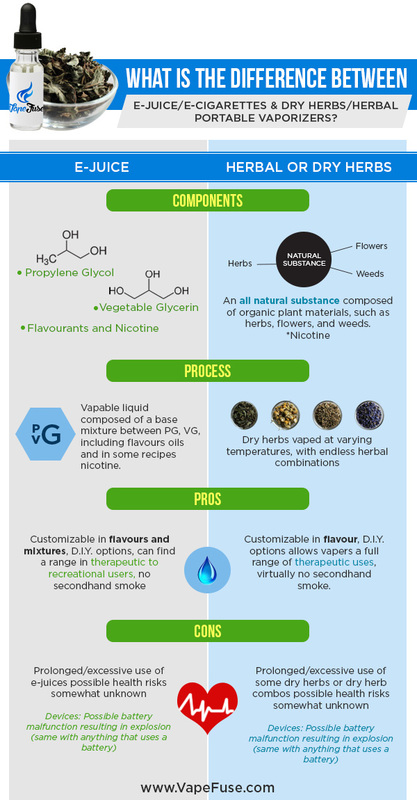 Before we go into detail here’s a quick summary of the differences between e-juice for e-cigarettes and dry herbs for herbal vaporizers. What is the Difference Between E-Juice/E-cigarettes & Dry Herbs/Herbal Portable Vaporizers? Flavourants*Nicotine. Vapable liquid composed of a base mixture between PG or VG and includes flavoured oils and in some recipes nicotine. Customizable in flavours and mixtures or D.I.Y. options. One can find a range from therapeutic to recreational with no secondhand smoke. There are no known possible health risks from prolonged or excessive use of e-juices. *Is only in dry herb blend(s) if requested by the user. An all natural substance composed of organic plant materials, like herbs, flowers, and weeds. *Nicotine Dry herbs vaped at varying temperatures, with endless herbal combinations. Customizable in flavour or D.I.Y. options allows vapers a full range of therapeutic uses with virtually no secondhand smoke. There are no known possible health risks from prolonged or excessive use of some dry herbs or dry herb combos. For Devices: a possible battery malfunction can result in an explosion (same with anything that uses a battery). What is Propylene Glycol (PG)? PG is an organic compound with a chemical formula of C3H8O2. It looks colorless and almost odorless with a vaguely sweet taste and considered safe for human consumption. In 1990 the Global Capacity was 900,000 tons per year industrially. These were used for food grade items like ice creams, coffee-based drinks, sweeteners and many other food products. It is also widely used in pharmaceuticals products like topicals, injectables and oral medications like diazepam and Nitroglycerin. Vapers who enjoy a stronger throat hit prefer E-juices/vape juices containing higher amounts of PG. VG on the other hand is a simple polyol compound or often called sugar alcohol. It is also colorless and odorless, non-toxic and sweet tasting. This is made both naturally or synthetically. Numerous food and beverage products used VG as artificial sweeteners, low-in-fat foods like cookies, a thickening agent in liqueurs, and may also help preserve food. The global demand for VG was 1,995.5 kilotons in 2011 and is expected to reach 3,060.4 kilotons by 2018. Vapers who are looking for more vapor production by an E-juice with VG, also referred to as vape juices with a higher VG volume. A massive hit in the industry is the unique and awesome flavours available for e-juices. From apples to fruit cocktails and even Donuts flavours. The choices are limitless. We explained how these flavours are created. Natural flavoring substances These are substances from plant or animal raw materials but does not contain any nature-identical or artificial flavoring substances. This is much like aroma or herbal therapy or holistic body products. The more natural compound is used, the more beneficial it is to the user. It has the strongest therapeutic effects. Nature-identical flavoring substances Substances that are obtained through chemical processes to creating an identical match to natural flavoring. They cannot contain any artificial flavoring substances. While these blends may contain some holistic or therapeutic benefits, it’s not considered a proper form of herbal or aromatherapy. The therapeutic effects are unknown. Artificial flavoring substances Material is not identified as a natural product intended for human consumption, whether or not the product is processed. These type of flavourings have absolutely no aroma or herbal properties. Strictly for taste or smell only. It contains zero therapeutic benefits. Some e-juices contain Liquid Nicotine which is measured in mg. The amount of nicotine in e-juices vary to allow vapers complete control of their nicotine consumption. Because of this control benefit, it has been highly praised among vapers as the ultimate tool to quit smoking cigarettes. Warning: One Should Never Exceed 36 mg as it has a very dangerous side effects including death. Electronic cigarettes often called as e-cigs or vape pens are becoming increasingly popular. These are sold in everyday convenience stores or shops dedicated to the wicked world of vaping. But this is ONLY the case in the US, UK and some countries around the world. There are still countries that have a very strict approach and classify e-cigs as cigarettes. Hence, these countries do not allow the sale of e-cig products in which Australia is one. Now you may ask, are they like traditional cigarettes? No, not at all. Since nicotine has become a personal choice of the e-cig user, this makes it very different from the traditional cigarettes. Another disparity is in the ingredients. A standard cigarette has over 4000 chemical compounds when burning of which 69 are known to cause cancer. Electronic cigarettes, on the other hand, contain 3 or 4 ingredients only: PG, VG, Flavouring, and liquid nicotine in some e-juices. A study by Public Health England found that e-cigs are “around 95% less harmful” than smoking tobacco. With that, the NHS should consider recommending them to help people quit smoking altogether. The study also concluded that there is “no evidence” e-cigarettes offer young people a gateway into smoking. There are many popular brands in the market today including eGo, G pen and CloudV Platinum Galaxy. Now we come to Herbal vaporizers. Herbal vaporizers are similar to the ancient tradition of the eastern hookah, but without the use of water. These devices heat up the material or herbs to an exact temperature, usually in a ceramic surface. Using the collective knowledge of plants for medicinal purposes, vapers get an extraordinary experience of both enjoyment and healing. 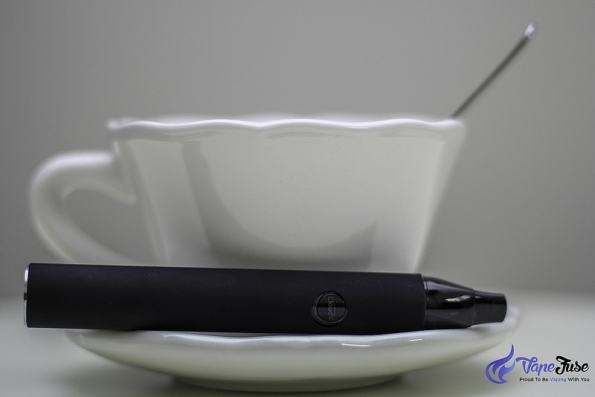 Dry herb vaporizers are most commonly used for non-nicotine therapeutic vaporizing. 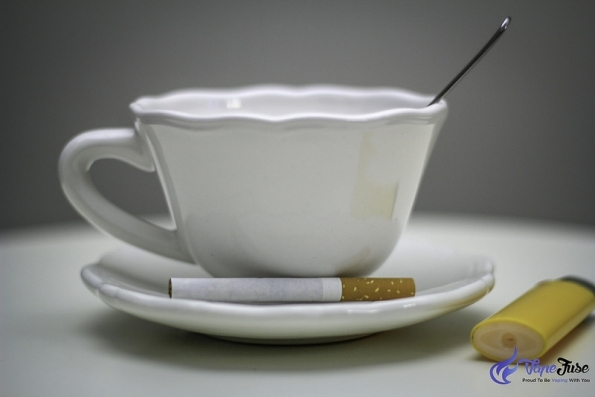 But more recently it became more of a tool to help a smoker quit both conventional cigarettes and nicotine addiction. Like electronic cigarettes, there are many great brands available for dry herb vaporizers like Arizer Air or Solo, CloudV, Vapir N02, and much more. Loose leaf tobacco isn’t measured by mg like an e-juice so users often do a ration mix. For example 80% lavender to 20% tobacco when close to being quit. This helps smokers kick the habit with ease. With most brands offering a mg range from extra strength to zero nicotine options, it helps users gradually cut-down the habit in a more comforting manner. E-cigs or portable vape kits cost anywhere from $50 – $250 based on the individual customer’s needs and preferences, which is a one-time purchase. 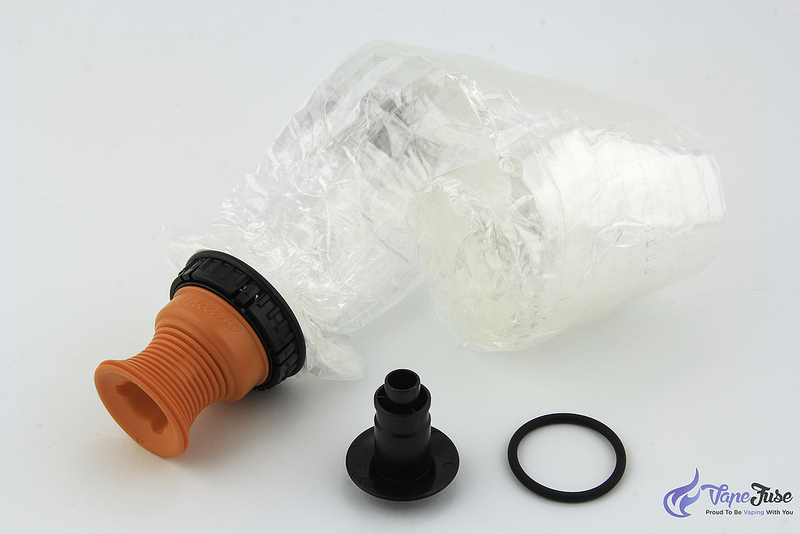 The maintenance cost meanwhile or accessories such a replacement parts or juices/herbs cost anywhere around $10 – $50 and this again depends on the individual’s usage. Not necessarily weekly or monthly. On the other hand, the average smoker spends anywhere from $8.13 (20 pack) – $18.51 (40 pack) per day on a pack of traditional cigarettes. That brings us to a total cost of around $2967.45 – $6756.15 per year. Given the numerous selections, combinations, and customizations available, it’s easy to see why vaporizing is becoming a popular trend among both male and female smokers and even nonsmokers, aged anywhere from 18 to 65 years or older. Not to mention the affordability of vaporizing which is a well need bonus. Well, there you got it! The ins and outs about different vaping trends and why it can help you quit smoking. 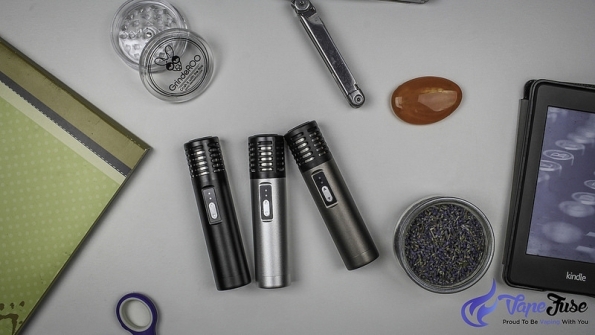 In another post we will take a look at the different types of devices people use to Vape! Section: What is the Difference Between E-Juice/E-cigarettes & Dry Herbs/Herbal Portable Vaporizers?